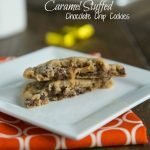 There are so many great fun stuffed cookie recipes out there. I really want to try so many of them, but I don’t need to gain 20 pounds in the process. So I got smart! I made up 1 batch of chocolate chip cookie dough, and made a few cookies of a few different versions. This was the first one I tried. 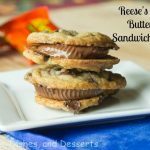 I loved the Biscoff Stuffed White Chocolate Chip cookies, so I did a pure chocolate version. 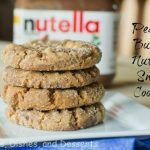 I haven’t made a Nutella recipe in awhile, not sure why that is. But it is time to change that! Just because it hasn’t graced this blog in awhile, doesn’t mean it is not in my life. I even stirred some in Oatmeal Breakfast Cookie the other day, so good! So anyway, back to these cookies. I started with the Chocolate Chip Cookie recipe that I have used my entire life. I put a small amount on the baking tray, filled with some Nutella, and then topped with more dough. For better instructions you can go to the Biscoff version, I have step by step pictures to help illustrate. 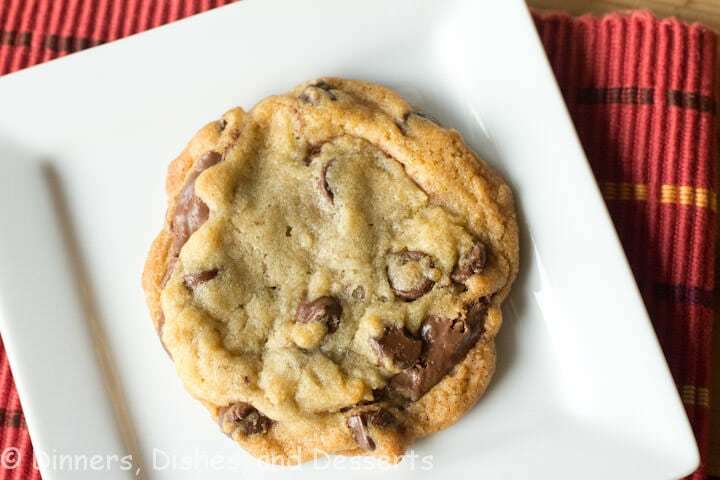 The great thing about these cookies is you can make a couple, and then freeze the rest of the dough. That way, whenever the mood strikes you are ready to go! Because let’s face it, warm fresh out of the oven is the best. 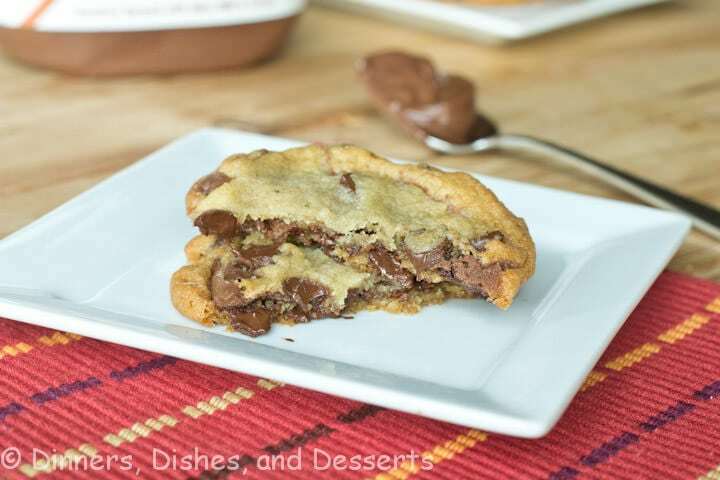 Classic Chocolate Chip Cookies filled with Nutella. So much great flavor in one little cookie! 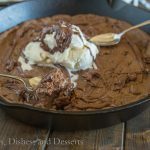 Using a small cookie scoop, scoop dough onto a baking sheet. Using your thumb, press into the center of each ball of dough. Spoon 1 tsp of Nutella into the well of each ball of dough. Then using your preferred method cover the Biscoff spread. For the rustic version scoop another ball of dough, place on top of spread, and lightly press down. For the fully enclosed version, scoop a little more dough, and create a ball with the Nutella in the center. Bake for 12 minutes, allow to cool for a few minutes before removing to a wire rack. That IS really smart! I’ve got to do the same! Mix once, bake multiple times! 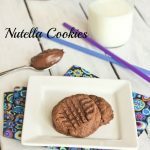 Nutella anything – I’m SOLD. These look absolutely awesome! 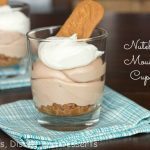 So simple too – a must try for my next girls night in!! These look like the perfect cookie recipe, Erin! 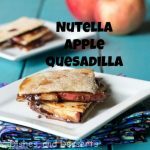 I love that you added Nutella! Wow! 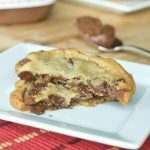 Double trouble with Nutella in a chocolate chip cookie, Pinned! 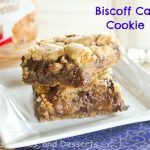 Those Biscoff stuffed white chocolate cookies are pretty much my favorite cookie! I made them yesterday with dried blueberries, white chocolate, and blueberry jam in the middle. SOOOO good. And with Nutella?! That must be amazing! 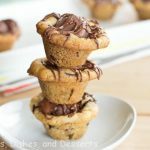 Nutella stuffed cookies? Sounds like heaven to me! Sinfully delicious!! Wow!! These are sooo tempting. I think this one would win over the Biscoff ones…maybe. What I love is the whole store bought idea. Instant gratification. Talk about gaining 20 pounds. Oh man, these cookies look so darn good!! I only have a small amount of Nutella left. I need to get more and fast!! why do I have to see these so late at night? I want some Nutella right now! 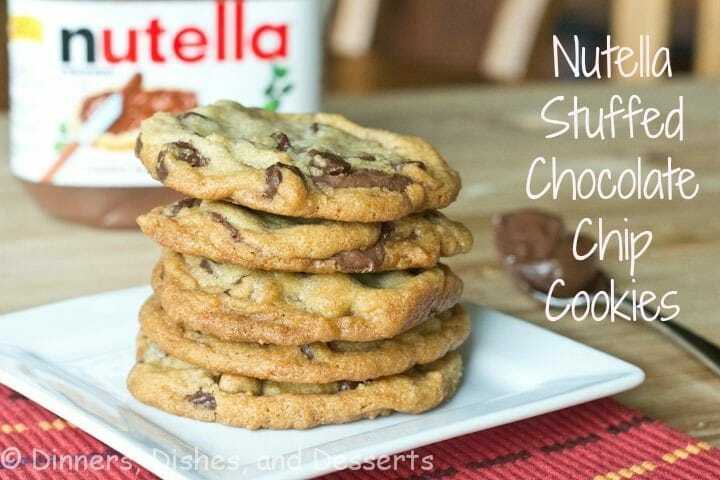 ANd cookies stuffed with Nutella! 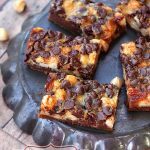 I came here to comment on your Sunday Supper blog but this insanely delicious looking cookie made me take a detour. WOW! 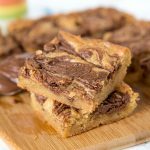 I love Nutella and CCCs – putting them together looks divine! I’ve been experimenting a lot with my chocolate chip cookie recipe. I am totally trying this next! What a perfect little cookie! 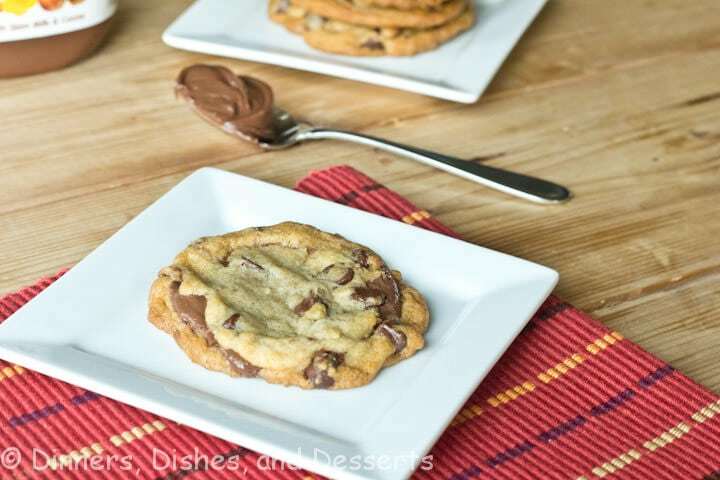 All of those wonderful ingredients all rolled into one spectacular cookie. Nicely done! Seriously loving this post!!! It is a hug wrapped up in a cookie! Gotta love nutella! You are so creative with your cookie stuffing! 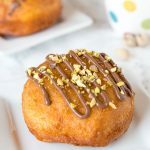 anything stuffed with nutella is a winner in my heart!